This statistic shows the results of a survey conducted in the United States in March 2017. 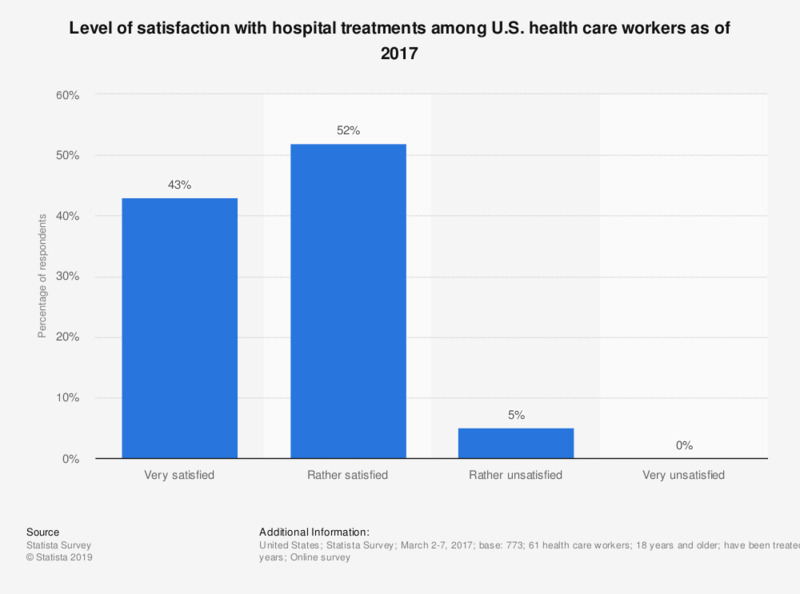 U.S. adults were asked about their level of satisfaction with the hospital treatment they received in the preceding five years. Of survey respondents that indicated they were health care workers, none felt very unsatisfied with their most recent treatment in a hospital.